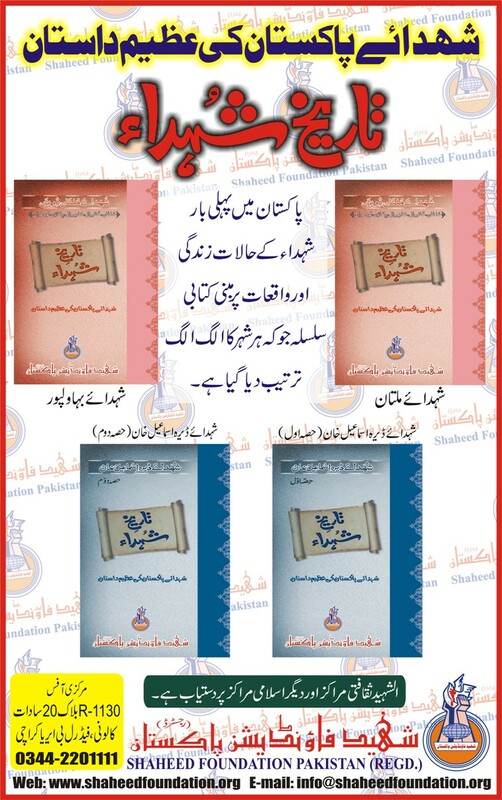 Shaheed Foundation Pakistan is pleased to inform the valued audience that another book by name of Tareekh-e-Shohada has been released . Besides work is being carried out for compiling the details of Shohada lives for many other major cities of Pakistan including Quetta,Karachi ,Parachinar ,Lahore and Peshawar and is continuing at commendable strides. It is envisioned that this effort inshaallaah will bring forth the historical facts regarding various tragedies ,various martyrs besides serving as a document which preserves the Mazlumiat of momineen and Shohada in Pakistan as well as the role of various segments of society all through these turbulent years . This effort is a part of overall mission of Shaheed Foundation Pakistan to contribute in evolution of a Shaheed Parwar Society . 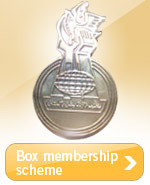 In this connection ,multi-pronged efforts are Alhamdulillaah underway successfully which on one hand focus on achieving complete self-reliance for martyrs families by offering comprehensive services to them and on the other preserving the values which form the basis of the philosophy of martyrdom . On this second count Al-Shaheed Productions has been doing a marvellous service already by releasing nohas ,taranas, video documentaries based on different sanehat ,docu-dramas ,thematic videos and plans to do much more . In the domain of print media these books and various supplements play an important role .